Cornwall Air Ambulance wants to turn the county red in a bid to raise money for the lifesaving charity during Fund a Flight Week (11 – 17 September). People are urged to raid their wardrobes and get sponsored to wear red hats, shirts, shorts, skirts, onesies and even wigs to proudly show they are supporting their air ambulance service. 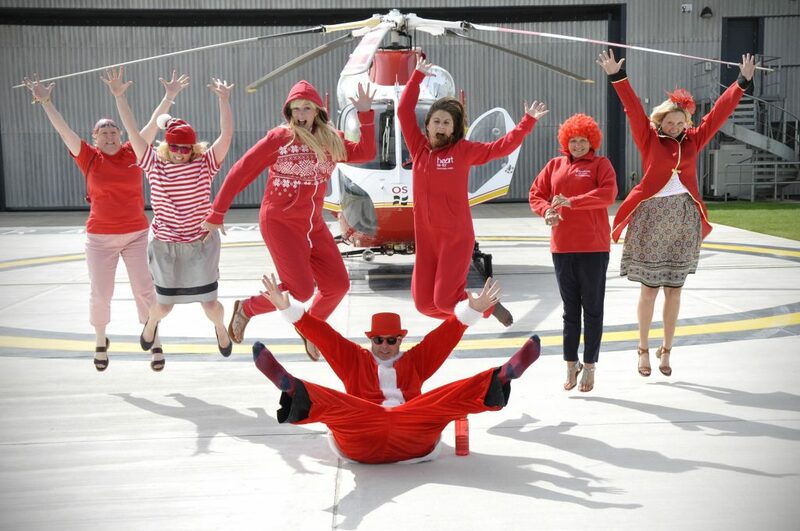 Some of the team at the charity’s Newquay headquarters have already got into the spirit of the brightly-coloured challenge by dressing up and posing for photos in front of a Cornwall Air Ambulance helicopter (pictured). 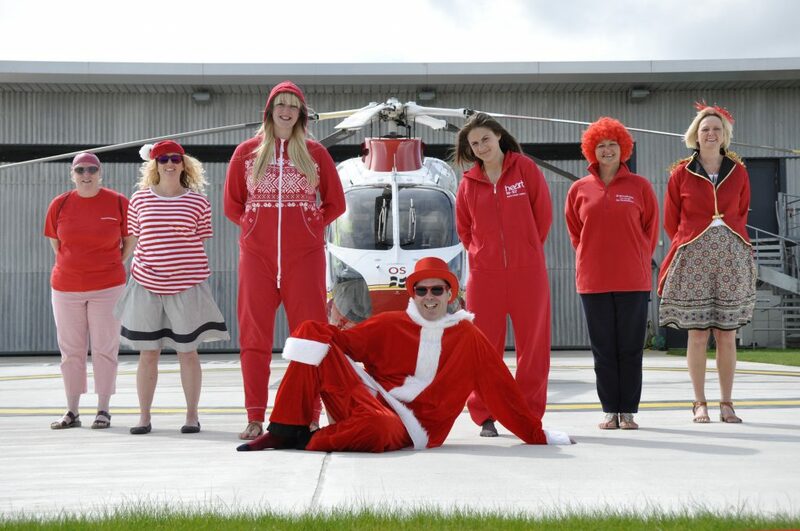 Becky Wise, Senior Fundraising Officer, said: “Cornwall Air Ambulance is known for being the red helicopter, although it does have a splash of white and yellow these days, so we want to see as many people as possible wearing red to raise money during Fund a Flight Week. Whether you swap your school uniforms for red clothes for the day, or get your entire office to wear red socks, it couldn’t be easier to support Cornwall Air Ambulance. Each year, the crew of Cornwall of Air Ambulance carries more than 700 lifesaving missions, costing an average of £4,000 per mission. The charity doesn’t receive any government funding towards its running costs and so relies on donations to carry out its lifesaving work. 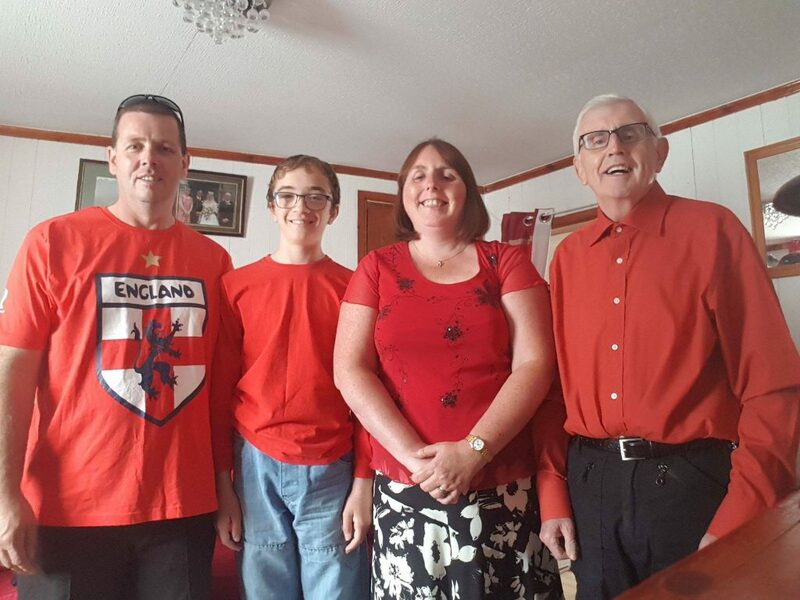 Airlifted patient Helen George is getting into the spirit of the fundraising week by convincing her whole family to dress in red (pictured). Helen was involved in a severe car crash in 2016 which caused life-threatening injuries to her and her father Harry. Helen was trapped inside her vehicle for 45 minutes and suffered a catalogue of injuries to both legs and her right arm. A year on from the incident, Helen is defying all odds and is walking aided by crutches. Raising money during Fund a Flight Week, which coincides with National Air Ambulance Week, doesn’t need to be limited to wearing red. Other fundraising ideas could involve holding a cake sale or pub quiz, sponsored cycle or walk. If you’re looking for inspiration, contact Cornwall Air Ambulance’s fundraising team on 01637 889926 or email enquiries@cornwallairambulancetrust.org.